This Amish Pine Wood Swivel Glider Chair will transform your outdoor space into a stylish spot for relaxing and entertaining. This glider has an attractive and comfortable curved back. 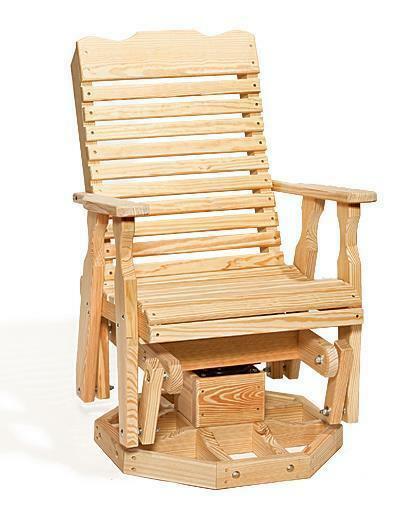 This is the perfect outdoor glider for the front porch, terrace, patio or backyard. Please call one of our Amish furniture specialists with questions on this Amish Swivel Glider Chair or our pine outdoor furniture.